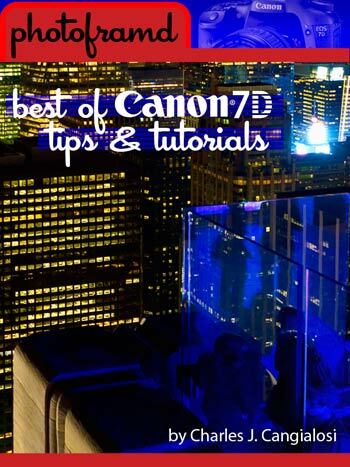 Home »Photography»The Best of Canon 7D Tips & Tutorials ebook now available on iTunes! The Best of Canon 7D Tips & Tutorials ebook now available on iTunes! Well, it finally happened! My new ebook is now available on iTunes. If you have been reading my blog, you know that this is not your typical Canon 7D user manual! Most other authors pick-up the camera for the first time while writing their book. This ebook is a collection of my real world experiences … and I’m a photographer who actually uses the Canon 7D as his primary camera for both still photography and HD-Video. I use the Canon 7D day-in and day-out. You can also download the ebook directly to your Android, iPhone/iPad/iTouch through the Kindle App, the Nook App or iTunes. Just search their “store” for “photoframd“.